St Cajetan is the patron saint of job seekers. Saint Cajetan is regarded as the Patron Saint of the job hunter and the unemployed. This spell calls upon Saint Cajetan who is eager to help you find a job or a better paying job. 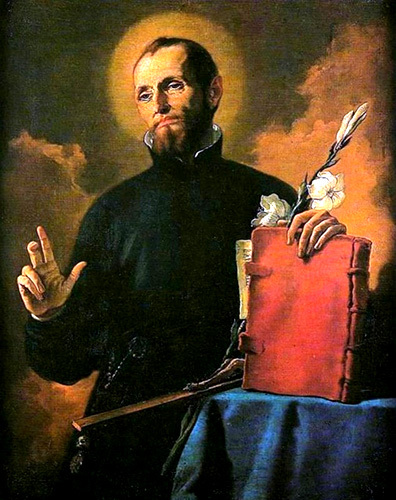 If you are tired of your present job and looking for a better one, or if you are currently unemployed, appeal to Saint Cajetan, who will aid you in your quest for a better position or career. 2 oz green olive oil. Bless the oil in the Name of the Holy Trinity. Write a petition paper on a piece of brown torn paper grocery store bag. Write on a piece of paper what you would like in terms of a good paying job. Be specific. Write the city and state where you want the job. At the end of the petition paper, write out Psalm 118: 25: “Save now, we beseech thee, O Jehovah: O Jehovah, we beseech thee, send now prosperity.” Fold the paper and place it under the top candle. 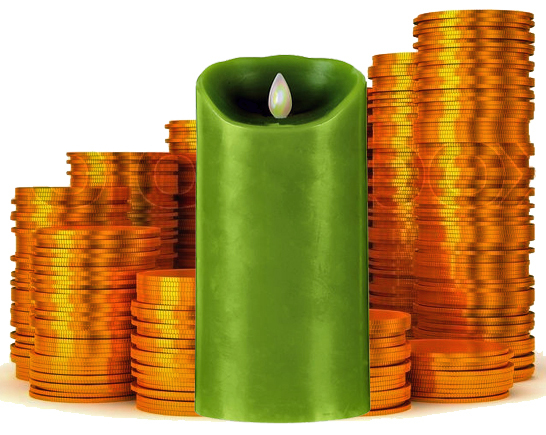 Place a dollar bill underneath the bottom left candle; on the bottom right candle place a W-2 form with your name and social security number on it. Light the candles every day for seven days. When you light them, pray to St. Cajetan, the patron saint of job seekers. Offerings to St Cajetan would include bread and wildflowers. On the seventh day, light the candles and pray “Thank you Saint Cajetan for working on my behalf for a better paying job!” Keep the faith and continue to pray to Saint Cajetan as he will answer your prayers in his own time! Dispose of the spell remains in an unobtrusive spot at a bank. When leaving, do not look back at the spell remains.